BIO in ATL this week! Sir Elton on the Jumbotron!!! It's been another fun week here in the Sullivan house! 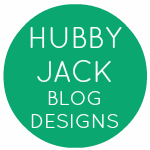 I can't believe how much has been going on! Tuesday afternoon, I ventured downtown to meet up with Erin and Anastasia at the BIO 2009 annual convention. I used to work for BIO when I lived in DC and now one of my BFFs Erin works there. 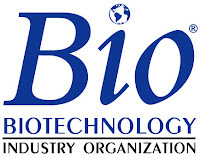 BIO (Biotechnology Industry Organization) holds a huge convention in a different city every year! This year, BIO came to ATL and Erin worked her magic to get us all access badges. Tuesdays lunch featured keynote speaker Sir Elton John!!! It was so cool to see him up close and personal speaking about one of the issues that he holds near and dear to his heart...AIDS. After the lunch, Anastasia and I met up with Erin and got a tour of the exhibit hall! Wednesday night Ben & I headed back downtown to meet up with Andy, Anastasia, Erin & Jennie (a good friend of ours from DC that lives in ATL now) to attend the Gala Reception at the Aquarium. BIO rented out the entire aquarium so it was really cool to have live music playing and a bar/food station around every corner as we partied with the fish! We had a great time, and I was especially psyched that I saw my old boss from my BIO days!!! It was so good to catch up with Cynthia again!! Thursday morning I was up bright and early to head to Charlotte, NC for work. After taking care of Talecris business for the day, I headed over to see our friends Matt and Suzie that evening. 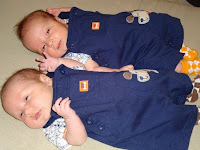 I got to hang out with Suzie and the twins (Carson & Henry...SO adorable) until Matt got home! Friday after I finished up the rest of my work, I headed uptown to meet Ethan, one of my best friends from high school, for some lunch at Cantina 1511! It was an awesome day, so we sat outside and caught up over quesadillas!! Yummy. I headed back to ATL around 3pm and stopped in Spartanburg along the way to say hi to the parents! I was back in ATL around 7:45 where Ben and I ordered in and ended the night snuggling while catching up on DVR! It was a very busy week!! We are headed to DC this weekend to see Ben's family and attend the wedding of our good friends Jeff and Tina. Will post pics of the weekend on Tuesday! Happy Memorial Day everyone!! !